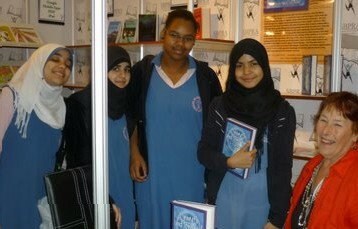 In March I had the opportunity to participate in the International Book Expo at Abu Dhabi, UAE. My book, Beneath and Beyond: The Hidden City, was featured in my publisher’s booth at the expo. As an author in the booth, I got to talk to people from all over the world about my book as well as sell it to those who were interested. On the first day a couple of local young adults, about college age, bought my book, as well as others. On the second morning I had a line of young adults lined up wanting to also purchase it. Curiosity got the better of me so I asked where they had heard about it. Two of their friends had bought it the day before and loved it. I sold every book that I had taken, which confirms for me that there is a higher purpose to the eloquent words that have been sent to me to share with as many humans as are ready to hear them.